One thing I have found is that Spanish speakers need fewer words to get their point across than English speakers do, albeit not in vocabulary but in grammar. For instance ¿Cómo estás? is "How are you?" but there is no you in the sentence because it is implied in the verb. "Mucho gusto" means "Nice to meet you" but actually mucho translates to much or many and gusto is the I form of the verb gustar which means to please. So actually the literal translation is closer to "You please me," which to me, seems mucho more cordial than "Nice to meet you." When I started learning Spanish, I thought that I could just replace English words with their Spanish counterparts (like mucho with much). Sadly, it doesn't work that way. Spanish, like many languages, doesn't translate to English word for word. 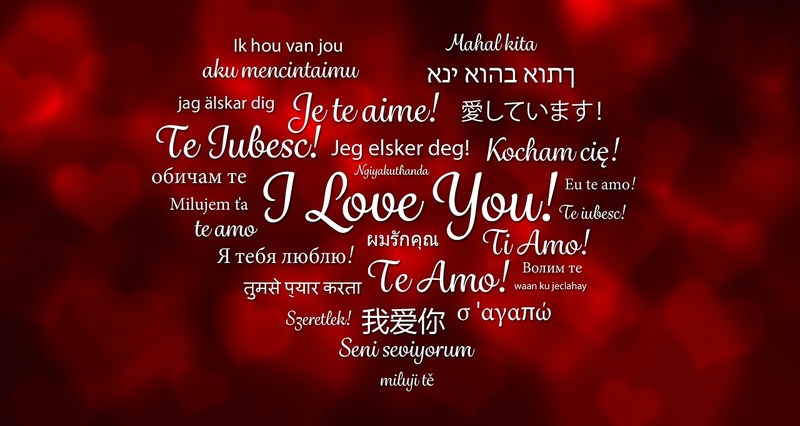 In fact, some languages have words and/or phrases that we don't use in English and the English language uses many words, phrases, and often even syntax that doesn't translate well to other languages. The Romance languages are also called the Latin languages, probably because they evolved from Vulgar Latin ( the common, spoken Latin of the ancients, not to be confused with Classical Latin which, I guess, is a horse of a different color!). Although Spanish is the only language I have studied, other than my native English, I think the romance languages are marvelous. Their similarities seem to bind them with familial ties, while at the same time, distinct differences make each language unique to its culture and location. Somewhere from beteen 23 and 35 different dialects and variants of these languages have spread across the world covering much of Europe, Africa and the Americas. I truly admire those who can speak more than one language. It always surprises me when they apologize for their "poor English." It is I who should apologize for my poor Greek, Italian, Hindi, Arabic, and more and that more, of course, includes Spanish. In truth, quite often my tongue still trips over English!